The production of the RM3200D has been discontinued. Please note that the support for the RM3200D has been officially discontinued as of Dec 31, 2012 (10 years after the product discontinuation). As of August 1, 2016, we cannot realize any more support for the RM3200D. We cannot accept any more orders for modules/parts of this model nor repair orders. No personal support by telephone nor email etc. is available. Firmware versions are highly depending on the respective target hardware. This complexity does not allow for further provision with firmware-version or programs files (Definition, Access, Route etc.). This particularly applies to enquiries from users of second-hand devices or systems. RM3200D can be conneted via MADI, analog or AES3/EBU interfaces. Global Functions can be exchanged via RS232/422. In principle, a combination of RM3200D and RM4200D modules within a mixing console or a CAN bus is not possible. The software is, in principle, not compatible either. 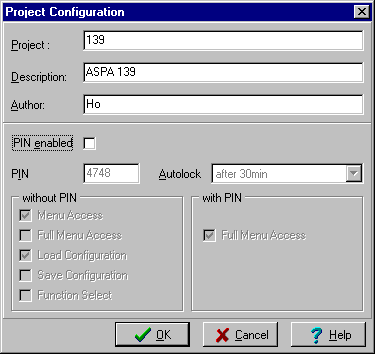 If PIN feature is enabled the normal user has only access to the first level in the menu on the control surface (means it is not possible by pressing gain more than 1 time to adjust another function (like Analog Gain). Unlock the system by pressing the buttons GAIN and PAN/BAL together, hold both buttons pressed AND adjust the PIN number with the rotary control knob, turn in first number to the right, second to the left, third to the right and fourth to the left. 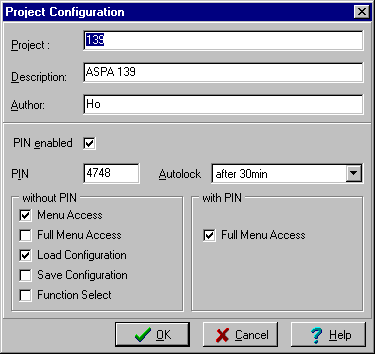 Change PIN or parameters of the function in the Project Configuration of the configuration file using definition.exe (important note: version of definition.exe needs to fit to the version of the firmware of the system).